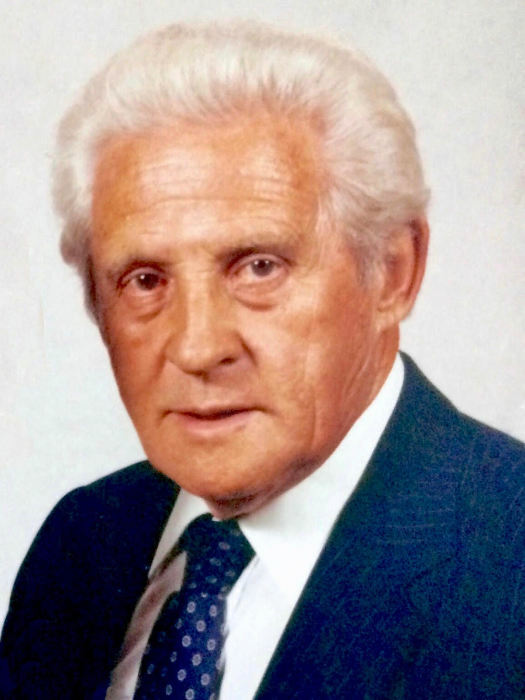 Doughton Alexander Pitts, 89, of West Lafayette, Indiana, formerly of Mount Vernon, passed away at 10:22 P.M. April 15, 2018 at Indiana Veteran's Home in West Lafayette. He was born August 23, 1928 in Blowing Rock, North Carolina to the late Roy A. & Florence (Hodges) Pitts. D.A. married Geraldine Brown on April 15, 1955 in Blowing Rock, North Carolina. They were blessed with nearly 60 years of marriage before she preceded him in death on October 21, 2014. In 2015, D.A. married Carolene Grow. Mr. Pitts is survived by his children, Joyce D. Little and husband, Monte of Danville, Illinois, Charles D. Pitts and wife, Darlene of Hypoluxo, Florida, and Dr. Mark A. Pitts and wife, Shawn of Frederick, Maryland; siblings, Christene Teague, Mary Coffey and husband, Alvin; 7 grandchildren; 7 great-grandchildren; stepchildren, Michael Grow and wife, Melanie of Indianapolis, Indiana and Tonya Lewis and husband, Roger of Keogha, Indiana; several nieces, nephews, and in-laws; and many friends. In addition to his parents and first wife, D.A. was preceded in death by his brothers, Roy Pitts and Eddie Coffey. D.A. proudly served his country in the United States Air Force from 1946 until 1955. During his service time he earned a World War II Victory Medal, United Nations Service Medal, Medal of Honor, and Korean Medal. He was a member of the Protestant faith, the Church of God in Mount Vernon, Illinois, and Autumn Ministries. He served the Lord as a minister for 50 years, retiring in 1995. D.A. was a minister, builder of churches and homes. He enjoyed golfing and being on the beach, but most of all, D.A. loved being with his family. He was dearly loved and will be missed by all who knew him. A visitation will be held from 10:00 A.M. until service time, 11:00 A.M. Saturday, April 21, 2018 at Newell Funeral Home located at 601 South 42nd Street in Mount Vernon, Illinois with his grandsons, Craig Pitts, Jeff Pitts, and Justin Little officiating. Interment will follow at Wolf Prairie Cemetery in rural Mount Vernon, Illinois where members of the Mount Vernon American Legion Post #141 will conduct full military honors. Memorials may be made in D.A.’s honor to Guardian Angel Hospice in Lafayette, Indiana.